Visit the past to inform the present. 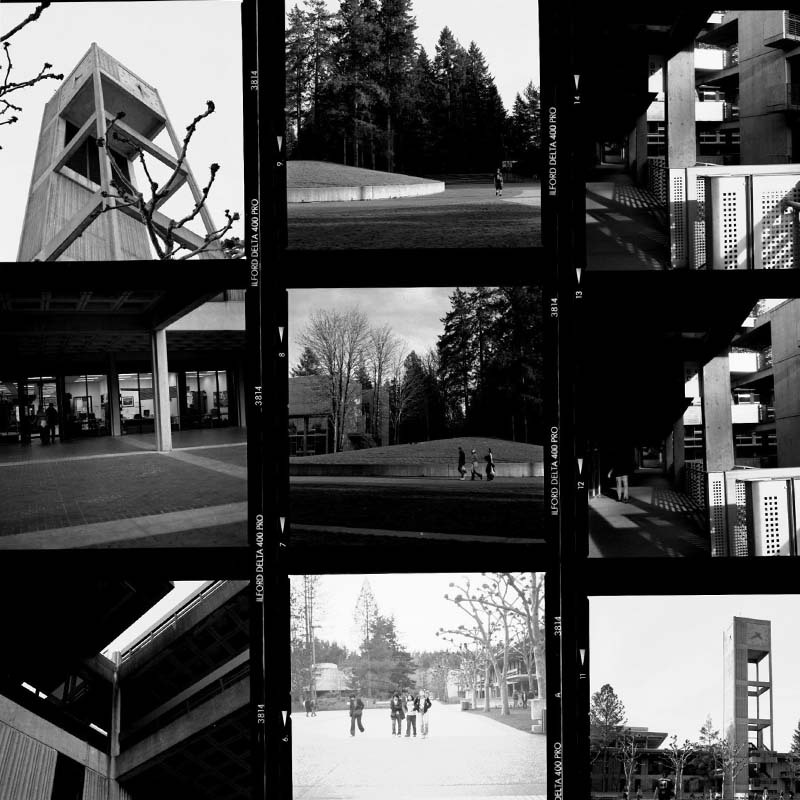 Read, hear, and view the historical documentation of our unique college. Use one of the finding aids below to find the material you want to research. You’ll need the accession number to request that documentation from the archives. Accession Register—Provides access by the document's origin and type (Provenance and Series title). Records Groups Index—Sorts records according to the college's hierarchical structure. Media Indexes allow you to find items by media type. In all cases, publication or display of our materials must carry the credit line: "From The Evergreen State College Archives." This includes on-line representations of archival materials selected from the holdings of this repository and displayed in web pages originating beyond the control of The Evergreen State College. Archives West—Provides access to descriptive finding aids for certain collections within the Evergreen Archives as well as access to other institutional collections in the Orbis-Cascade Alliance. Washington State Women's History Consortium—Provides access to collections within the Evergreen archives that pertain to the history of women in Washington State. 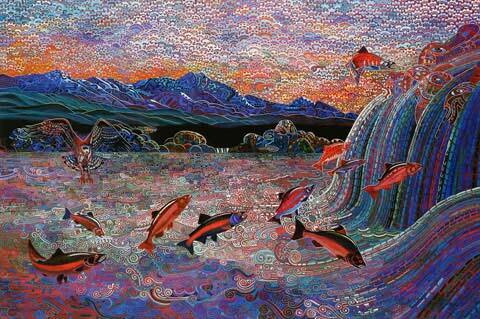 The Last Salmon Run, Oil on Canvas by Alfredo Arreguin. View more of his work on the Chicano/Latino Archive website. Chicano Archives—A collection focusing on Chicano Culture and art. Nisqually Delta Association—The archives from the organization dedicated to preserving the last remaining non-industrialized river delta in Washington state. Jolene Unsoeld Papers—Lobbyist, legislator, 3rd District Congresswoman, adjunct faculty, and spouse to founding faculty member Willi Unsoeld. Peoples of Washington—A research collection providing insight into the diversity of Washington state’s population by Evergreen faculty Sid White and Library faculty Pat Matheny-White. Washington State Folklife Council—The product of years of collecting and documenting the diversity of Washington state’s ethnic and occupational populations’ through photographs, video, and audio tapes that spotlight folk art, craft creations, ethnic and occupational songs and stories. Socialist Literature Collection—A collection of socialist propaganda and literary magazines, newsletters, and pamphlets from the 1930s through the 1980s. Washington Worm Growers—Documents the business practices and routines of the vermiculture industry in Washington state in the 1970s.